I’m back this year at the Fringe with Night of the Living written by Dave Lankford! 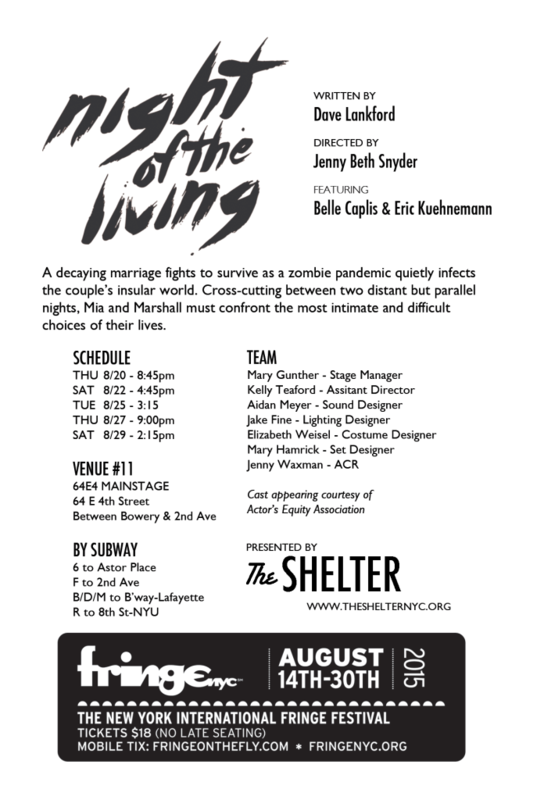 Teaming up with the Shelter Theater Company this play is guaranteed to make you laugh, freak you out and possibly cry. Don’t miss it! Here’s a link with dates and how to get tickets!